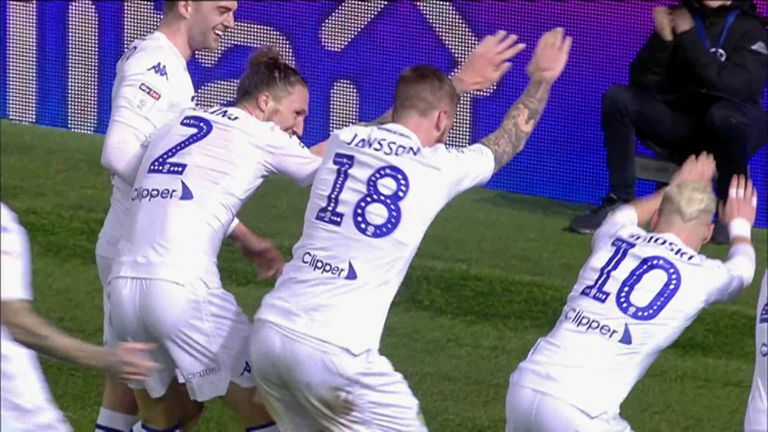 Watch birthday boy Pontus Jansson's celebration after he opened the scoring in the 2-1 win over Swansea. The Leeds defender scored from close range at Elland Road, then celebrated in emphatic fashion with his team-mates. But no one, not even the club themselves, seemed to know what the celebration was about. They tweeted: "Not even sure what this celebration is" with a picture of Jansson and Co. It was the first goal of the night for Leeds, who doubled their advantage shortly afterwards via Jack Harrison, before Oli McBurnie scored a late consolation from the penalty spot for Swansea.